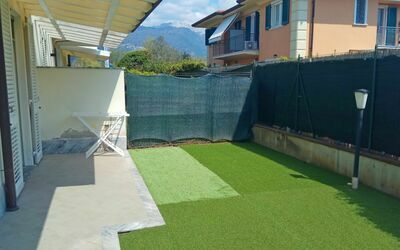 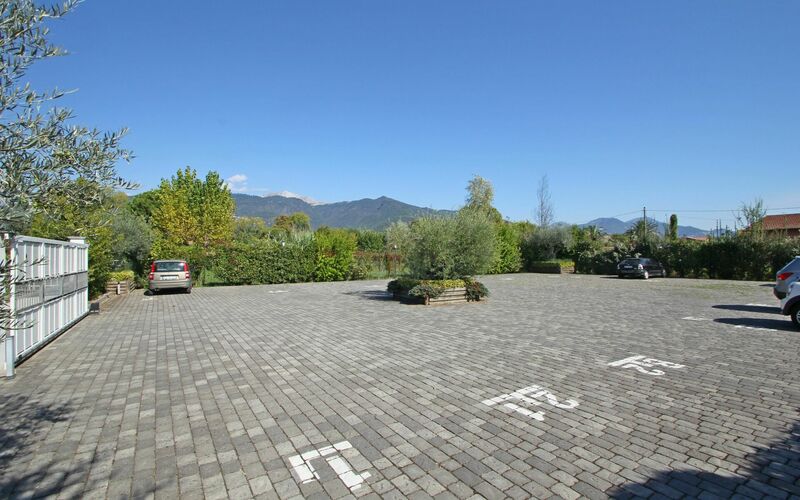 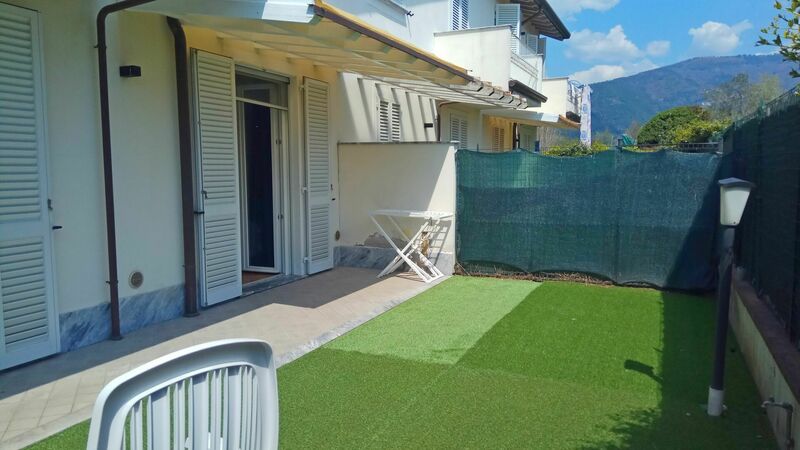 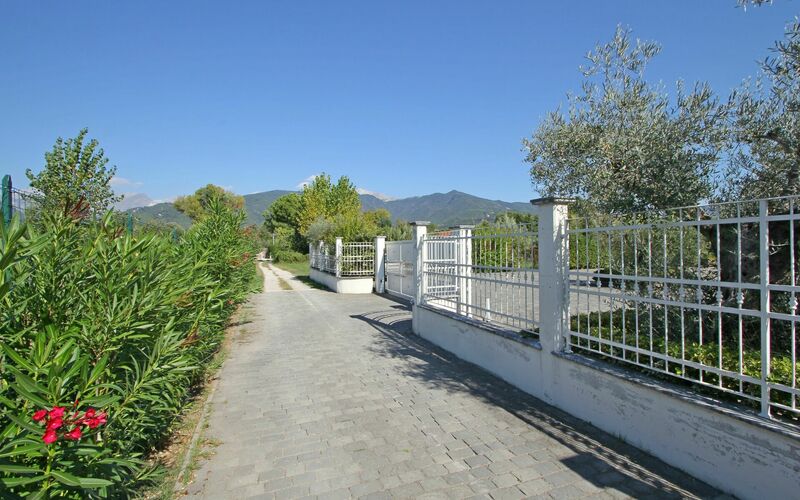 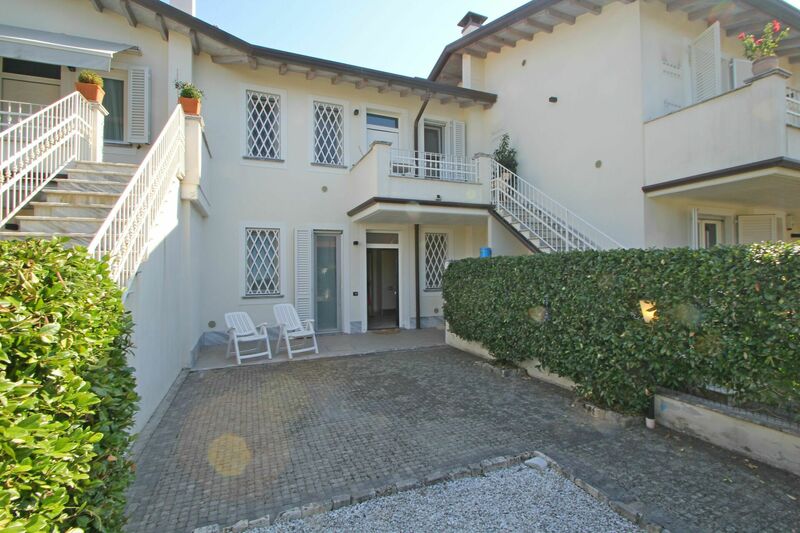 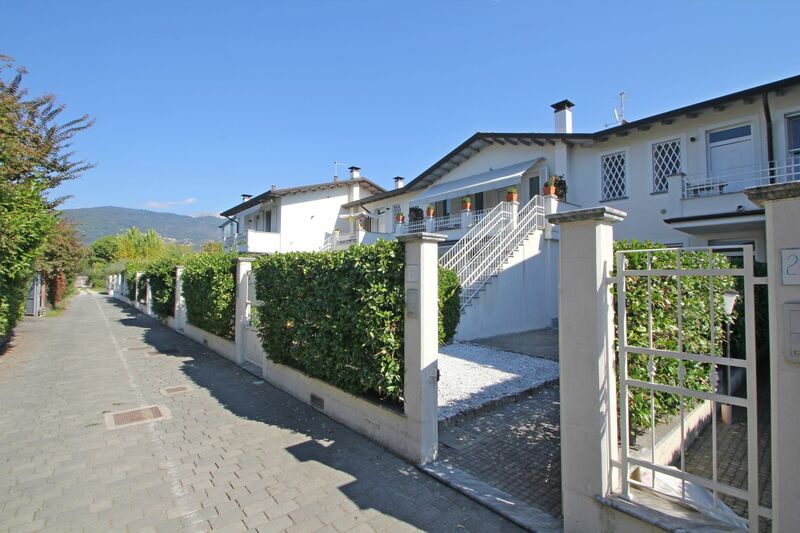 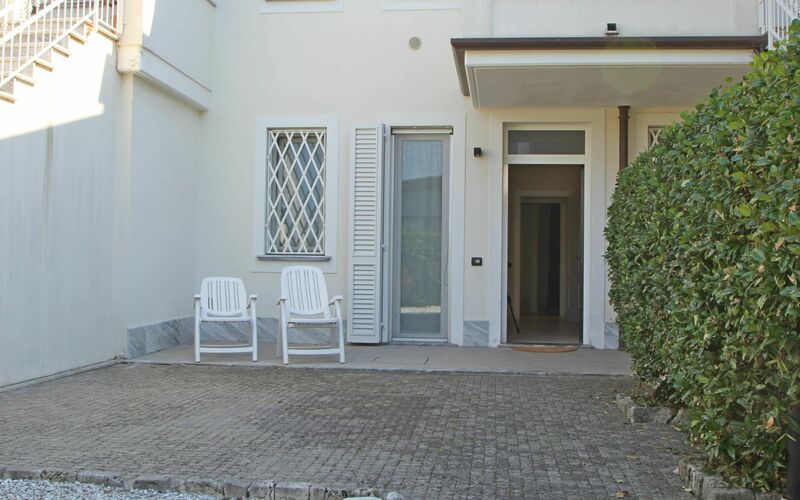 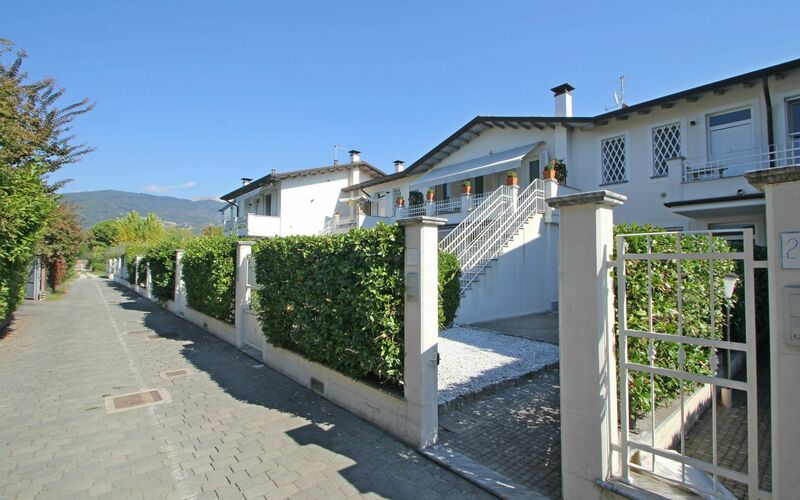 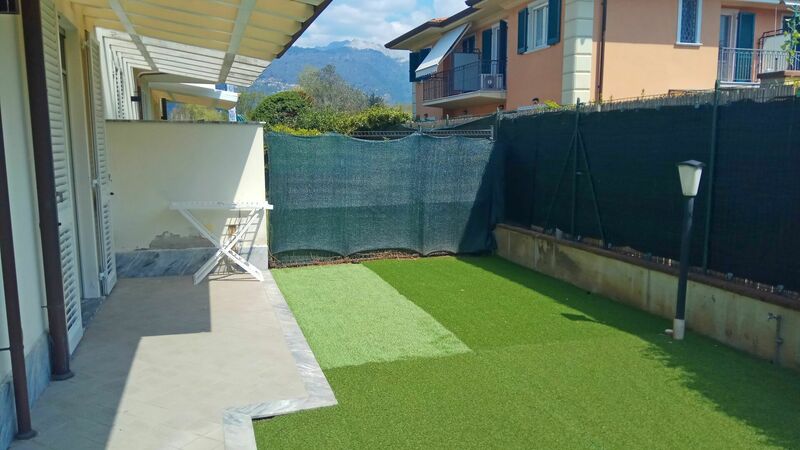 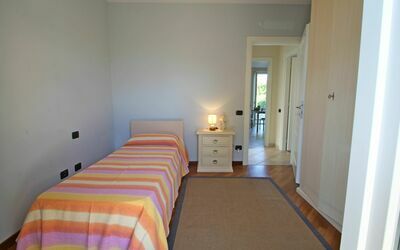 Appartmento Stradella is located in a beautiful new building with outdoor space and Internet Wifi. 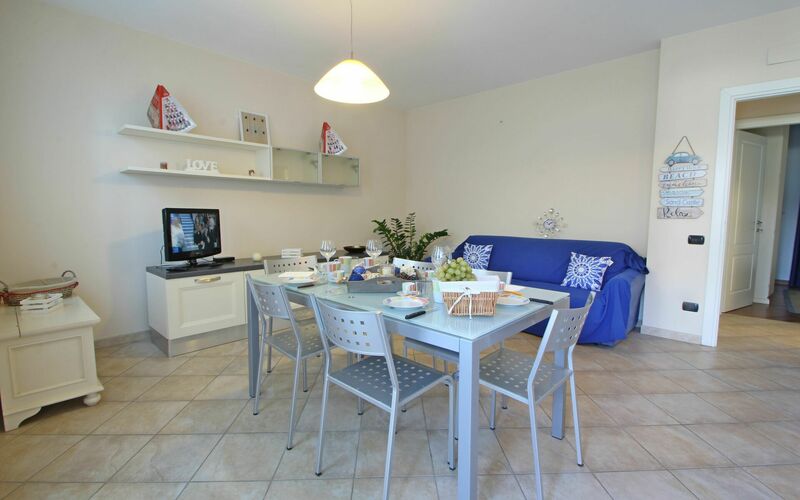 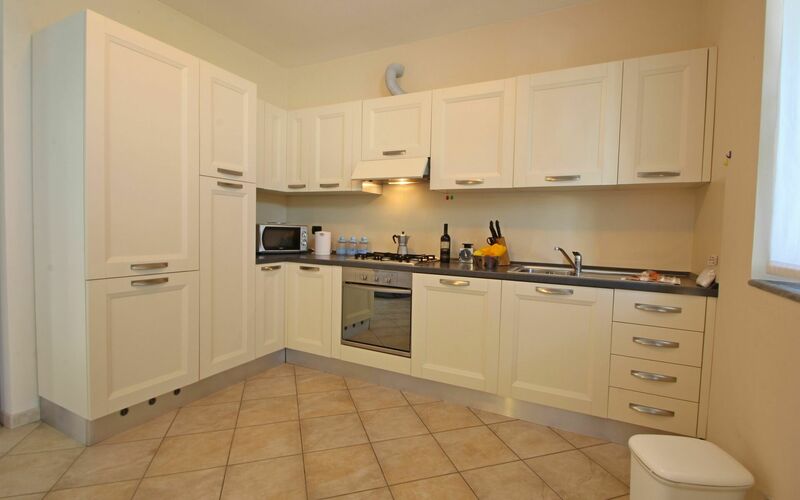 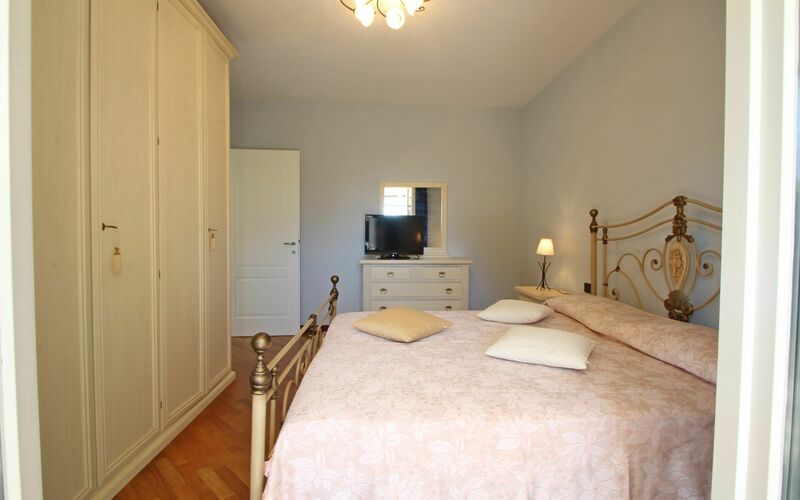 The holiday apartment is located on the ground floor and consists of two bedrooms and a bathroom, ideal for 4 people. 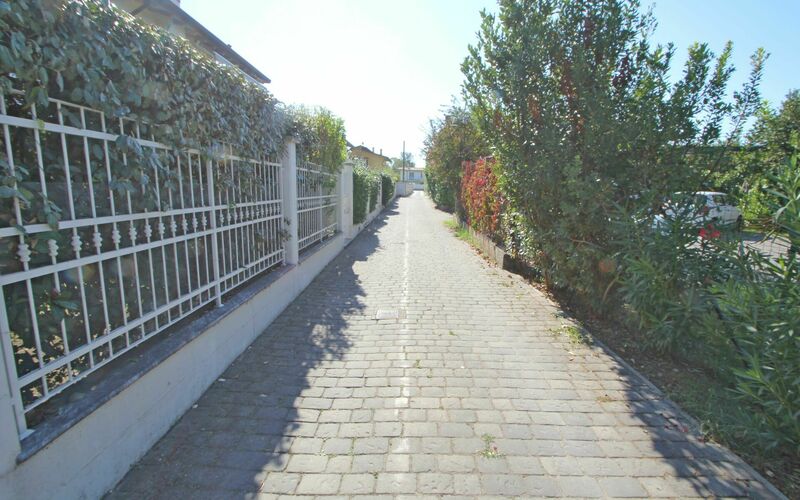 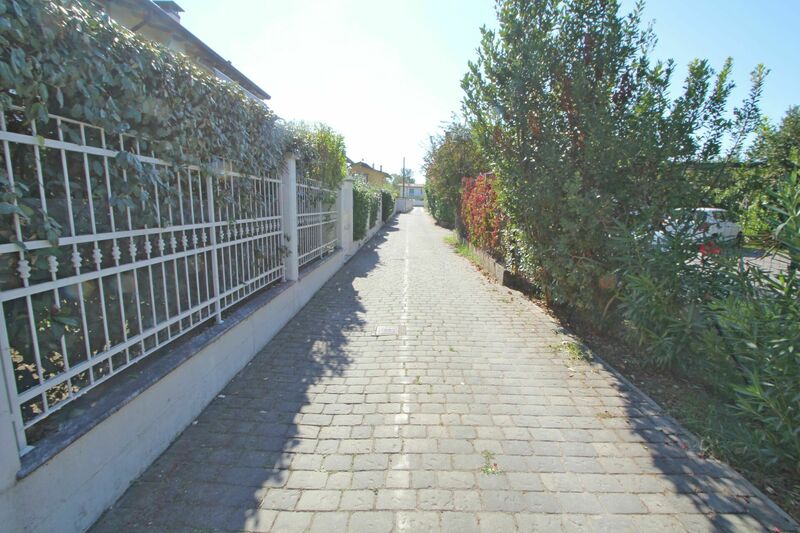 It is located about 1.2km from the sea in a private road. 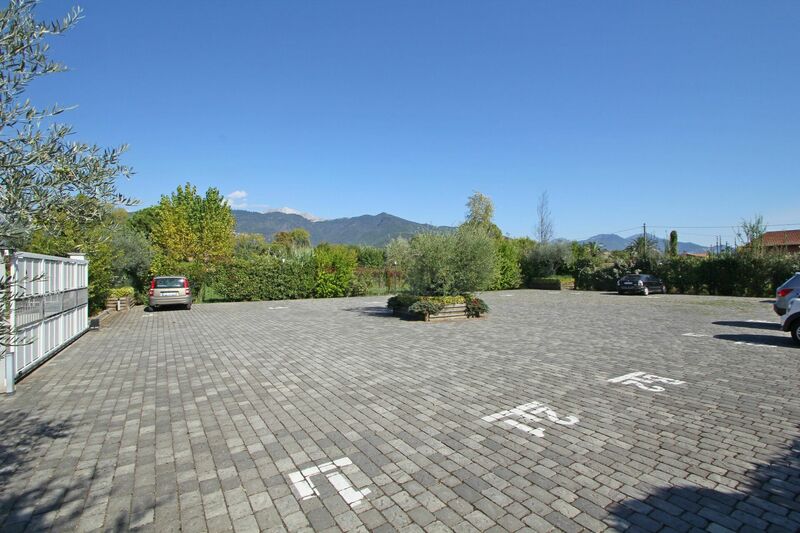 Available there are 2 private parking spaces in a common parking closed by a gate. From the parking lot you walk 50m to reach the apartment. Entrance through a pedestrian gate on a private court of about 50sqm and on the backside there is another private garden. The area is ideal for those who want to spend a holiday by the sea, easily accessible passing through the nearby pine forest. 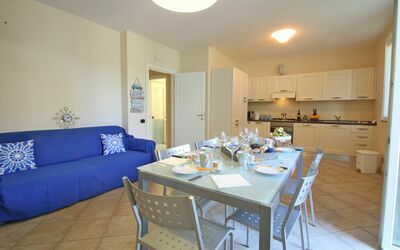 But it also lends itself to visit the tourist and cultural destinations such as Pietrasanta, Camaiore, the farthest ones Florence, Siena, Pisa but also the beautiful Cinque Terre. 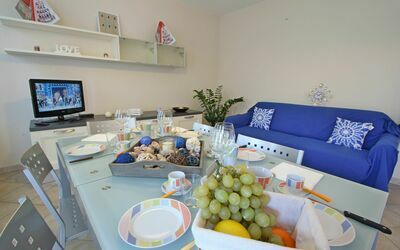 Entrance to living room-kitchen with double sofa bed, dining table for 6 people, TV. Kitchen equipped with dishwasher, oven, 4 ring burners, fridge / freezer, kettle, filter coffee machine, Italian mokka, microwave. 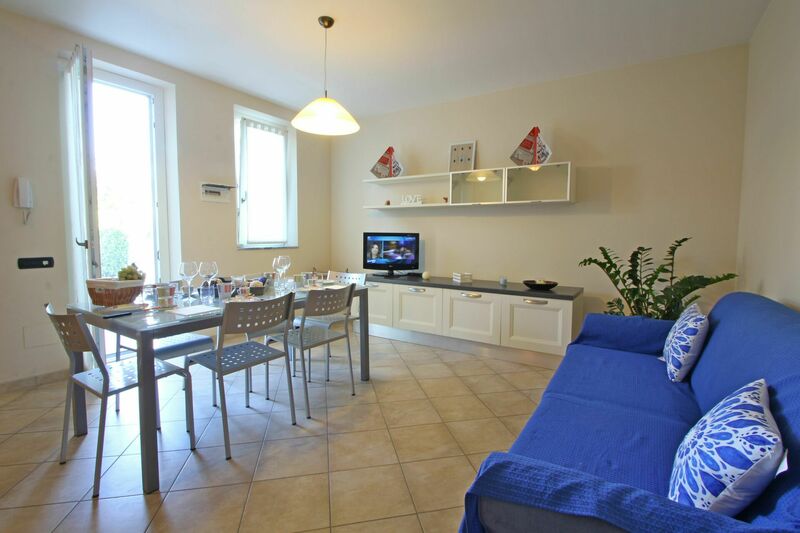 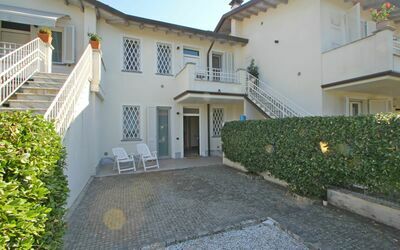 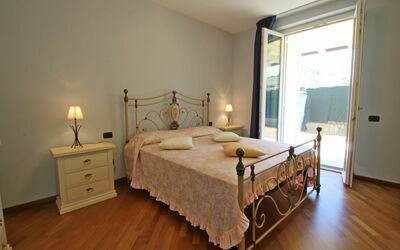 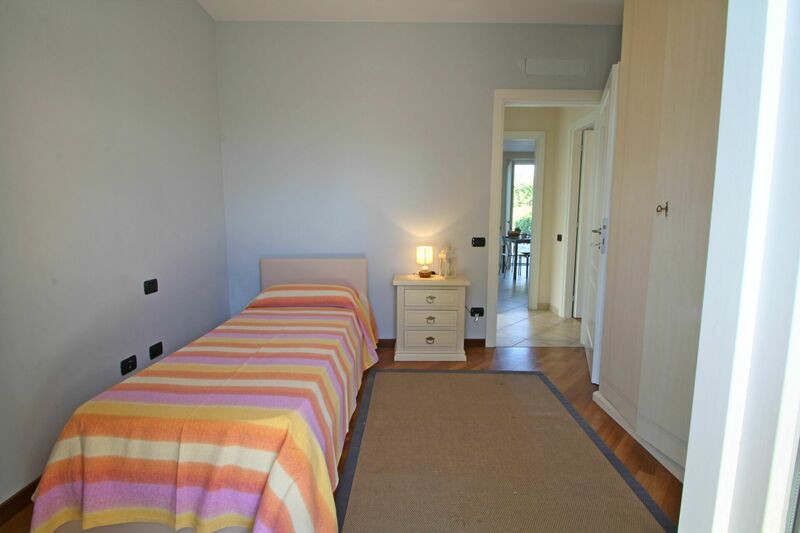 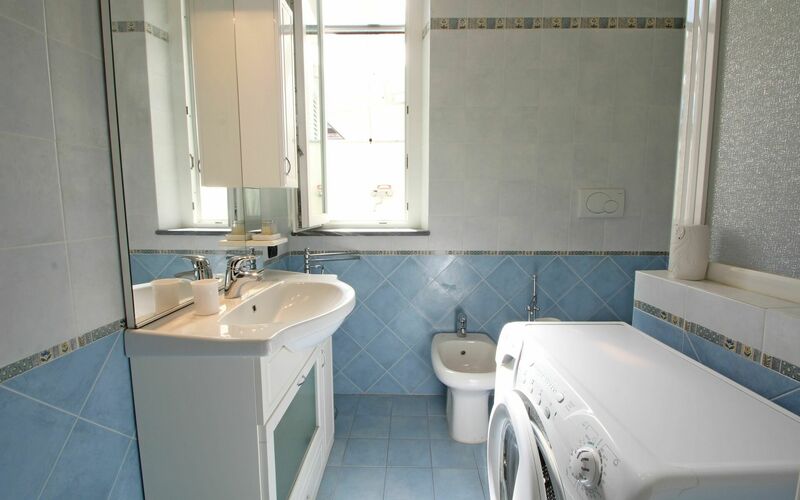 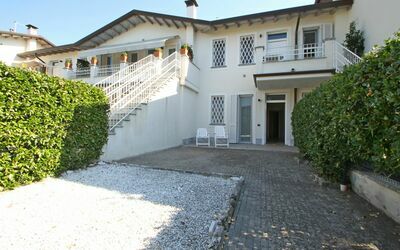 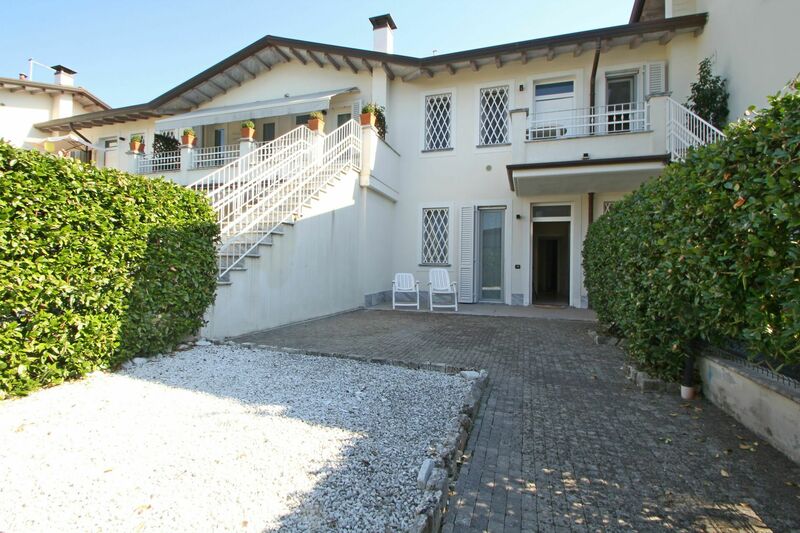 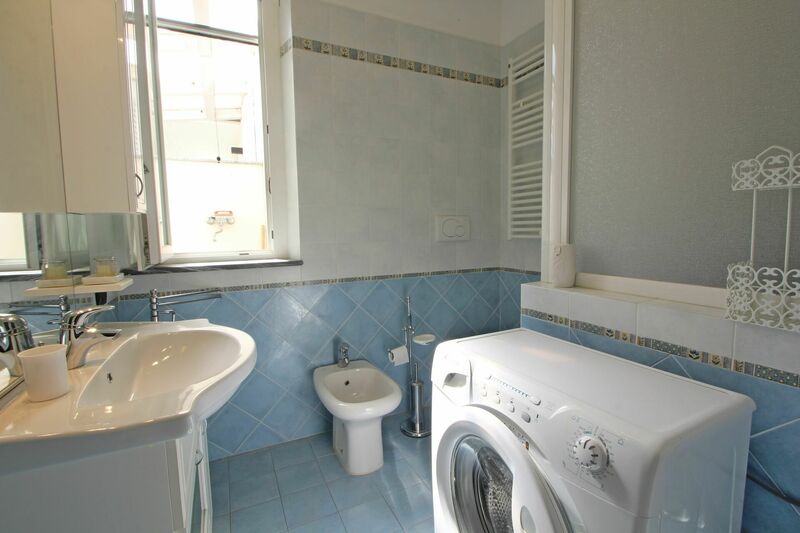 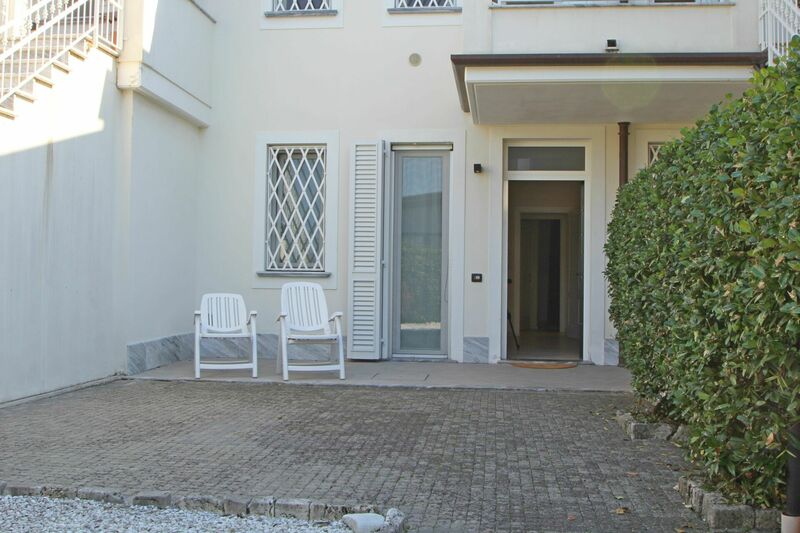 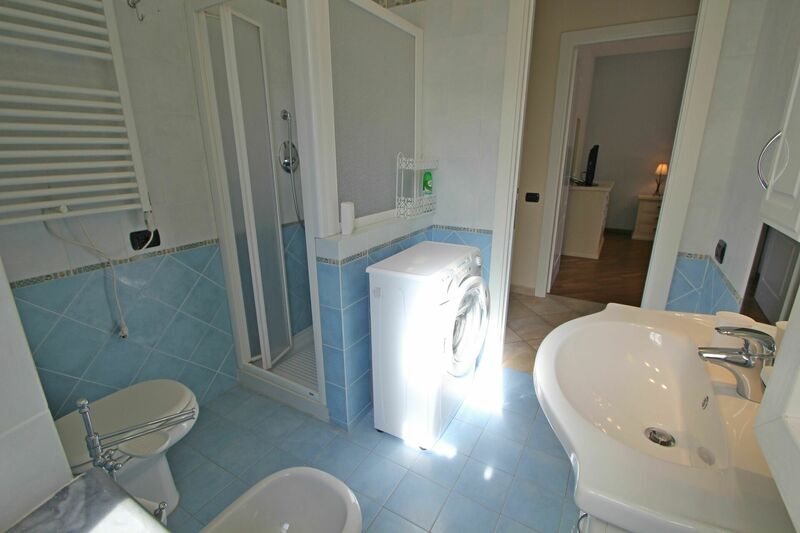 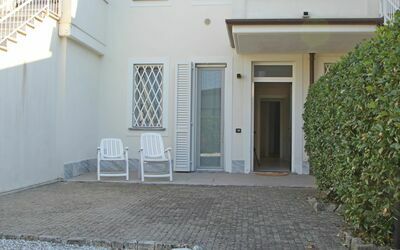 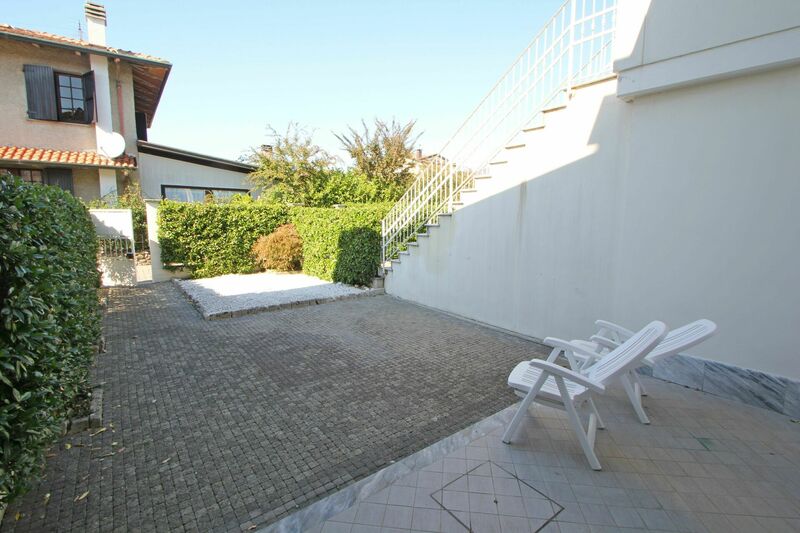 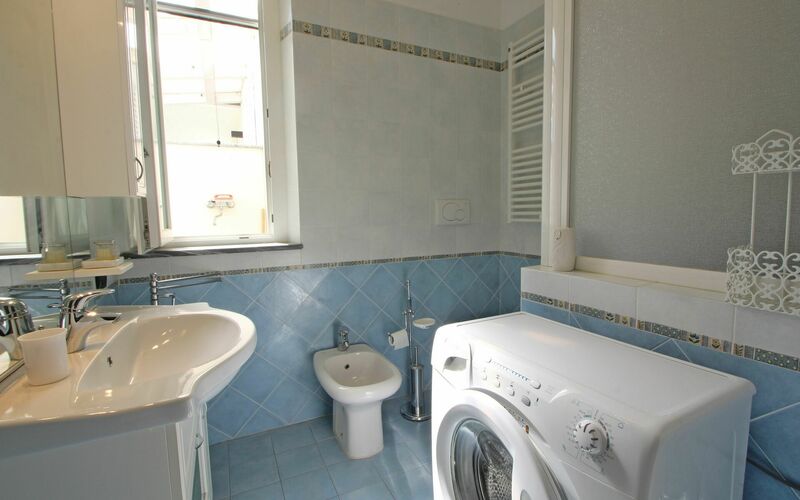 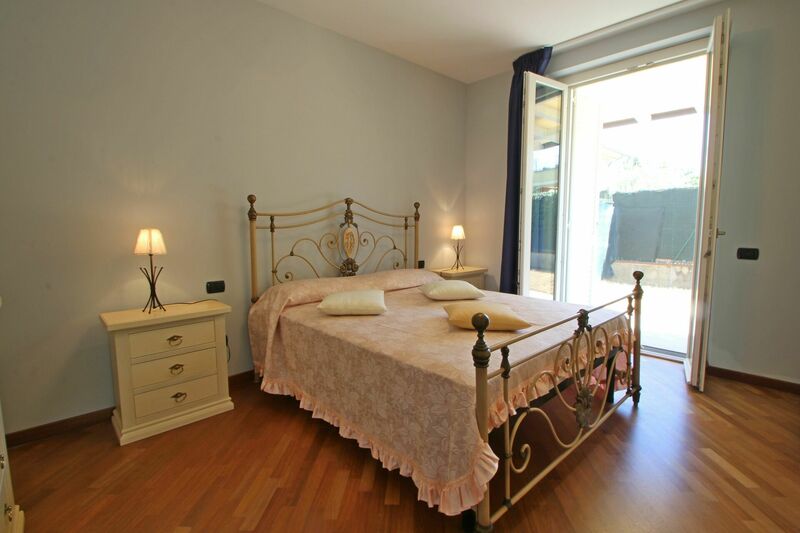 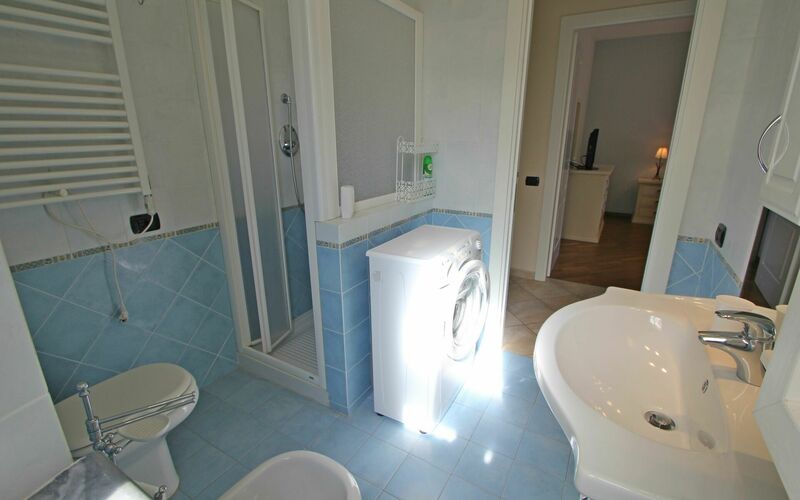 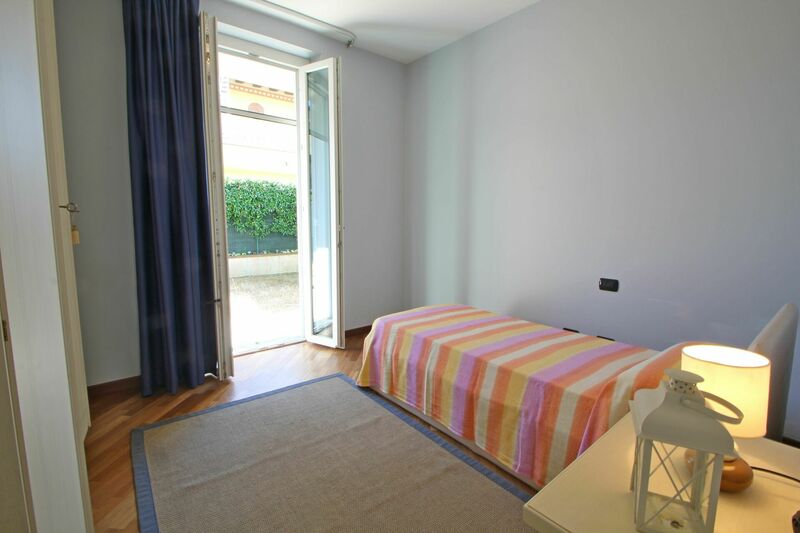 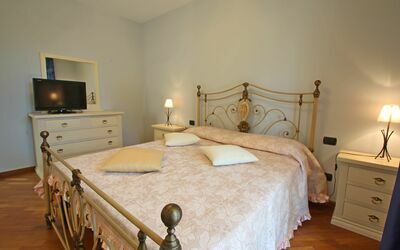 Double bedroom with large wardrobe and TV (Italian). 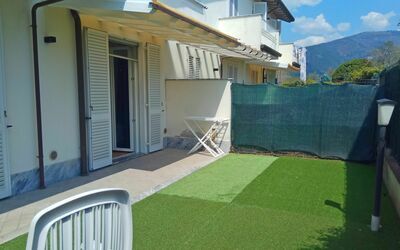 Bedroom with single bed (and second single pull-out), door leading to the back garden with synthetic grass, dining table and umbrella. The apartment has high-speed WIFI Internet (up to 100Mbps). In the winter months it has underfloor heating with a surcharge of € 5.00 per day. It is not possible to have a barbecue.